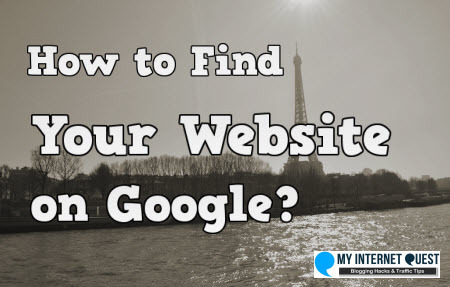 Have you ever wondered how to find your website on google? Most new websites (And some old sites too) do not rank in Google as much as you want to which can be quite annoying considering you’ve put your heart and soul into writing that content. You tried to look through page after page in that Google search results for your keyword but could not find your own website, even after page 10. Well worry not! Because I too wondered about that for a long time before understanding how everything works so today, I’m going to let you in on that too. How to Find Your Website on Google? -3 Ways For The Unwary. If you’ve been managing your website for a while and you actually know of Google Analytics, you must surely be surprised that the first method is right under your nose! Not all of us are technical people (I’m a hotel student and know nothing about websites) so I totally get that. I’ve been using Google Analytics for a while but because there are so many features to it, it took me a while to understand how it works. It’s basically a tool which gives you statistics from your own website so in order for it to do that, you need to actually connect your website to Google Analytics. Now that you’ve set up your Google Analytics account, it might take some time for Google to retrieve your data from your website. But after some time (A few hours or a few days) when you’re comfortable with your results, simply head over to your Google Analytics account to start checking your website positions. From Google Analytics, look on your left where you will see “Acquisition”. Type in your URL in search and voilà! Now, you can see not only the rankings, but also the clicks and impressions! One thing to note is that you won’t get an exact position of your website because you can only find the average position but its is actually good enough to give you an idea on where to search. It’s actually on the first page already! 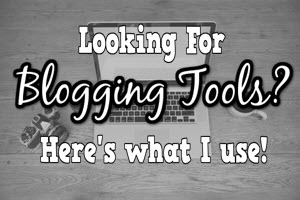 My blog post is rising up in rank, yippee! If you’ve watched the video above, you might have noticed that it not only teaches you how to attach your website to Google Analytics, but Google Webmaster as well. 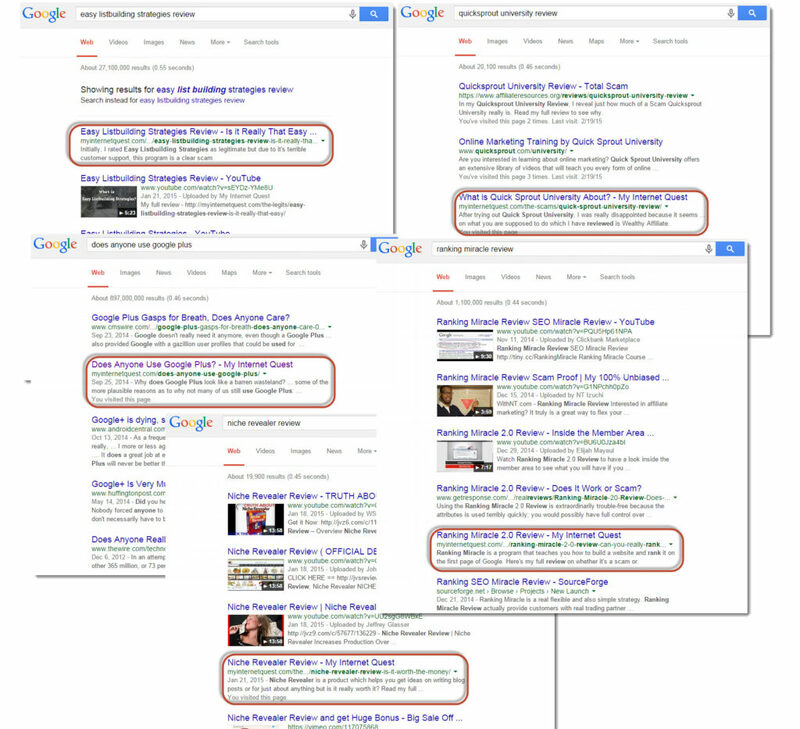 Google Webmaster is another free feature provided by Google which allows you to see more data on your website. I’ve been thinking of the same thing but you actually can’t combine it into one because both Google Analytics and Webmaster shows different results. Don’t get confused between these two though, because Google Analytics is meant to give a picture of who is coming to your website like how can people your site, through which medium and all that. 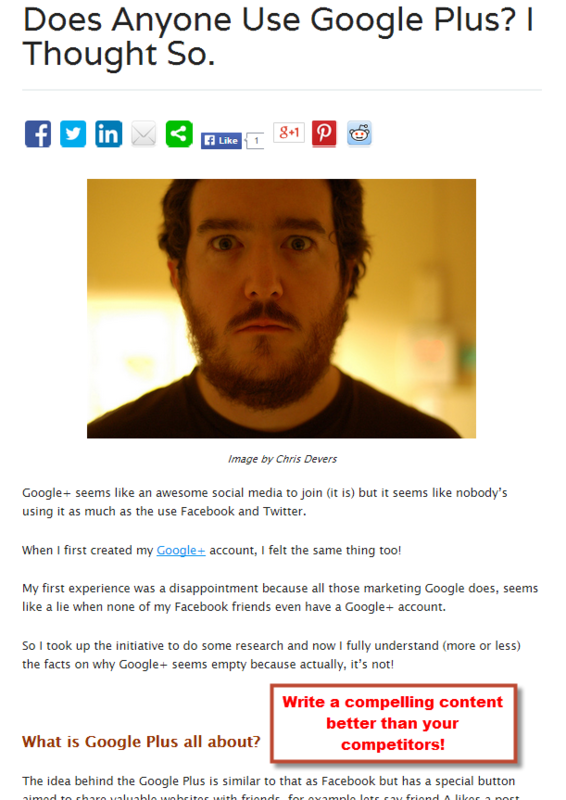 Webmaster on the other hand, is meant to give a picture of how your website is being seen from Google itself. Because of that, the features are different and it is more technical but you can learn a lot from your results here such as in terms or links and of course, keywords. So how are we going to search for your website position in Google Webmaster? First, head over to your Webmaster page of your website. Do bear in mind that Google Webmaster tools give you your website’s content position based on keywords. You might not really mind it much but if you create contents often and you want to aim it high on Google, keywords are the way to go and understanding this lets you decide better when looking for keywords that actually work for your website compared to those that doesn’t. Google Webmaster and Google Analytics are the best at giving you accurate results on your website because… They are made by Google themselves! However it may take some time before you can use both of those features as you will need to wait a while till your website is indexed by Google. Until then, you can’t find any data yet as Google has not retrieved it yet but what if you want an instant website rank checker? There is a website for this called wheredoirank.net where you can simply key-in your domain and keywords. Personally, I don’t find it as accurate but you are more than welcome to give it a try as it is free after all! 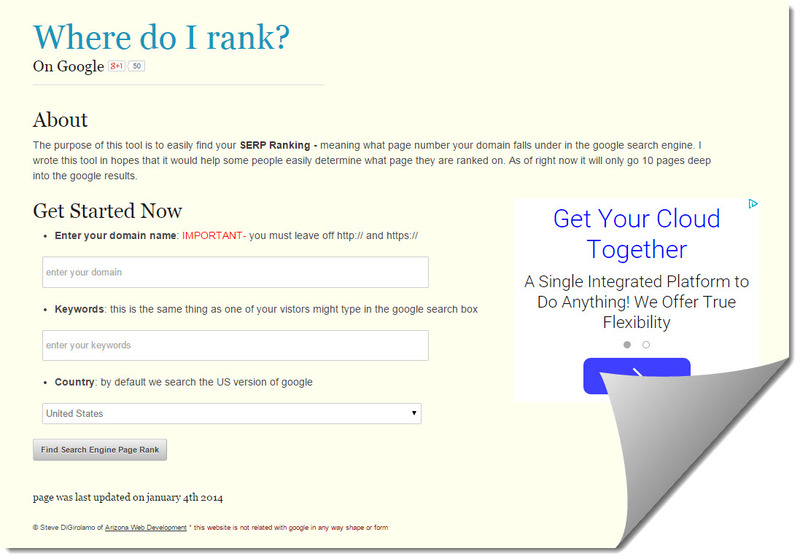 What Determines a Website to Get Ranked in Google? Now that you know how to find your website and posts on Google, you must be wondering how do you improve your rankings, correct? There are actually many factors that needs to be taken into account when finding out how a website can be ranked and these are all categorized into one word – SEO. Search Engine Optimization (SEO) is basically a series of practices that you can do on your website to help get it better rankings on Google. It doesn’t just consist of one practice though, because there are a lot of other factors which needs to be included as well. For example, writing a compelling article, getting more readers, content length, even the frequency of your content updates. It might sound complicated but it’s actually pretty simple though repetitious because you need to take into account some elements everytime you write your content. If you’re considering on mastering SEO, don’t be. Keywords play a vital role in ranking your website and its contents. There are millions of websites being created every month, so how do get your website to stand out among the rest? 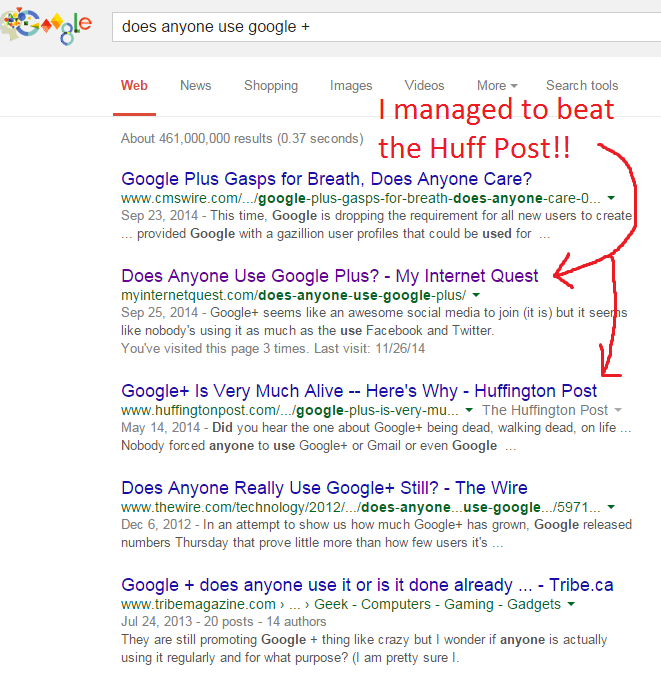 By researching keywords that are highly sought-after but at the same time, having very few competition. In other words, you basically only go for keywords which not many people know of! So just how do you find these golden keywords? 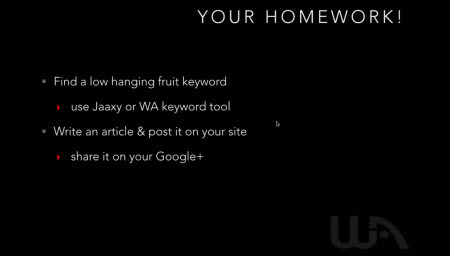 The answer to that my friend, is by using a keyword research tool and the best one in the market to that, is Jaaxy. Using Jaaxy, I was able to find out that it has 96 monthly searches with only 25 competitors. QSR stands for quoted search results which just refers to the number of website competitors that you will be facing for that particular keyword. One of the most important points as to why we use a keyword planner is to find keywords which have very low competition so that you can basically rank on first page of Google with ease. 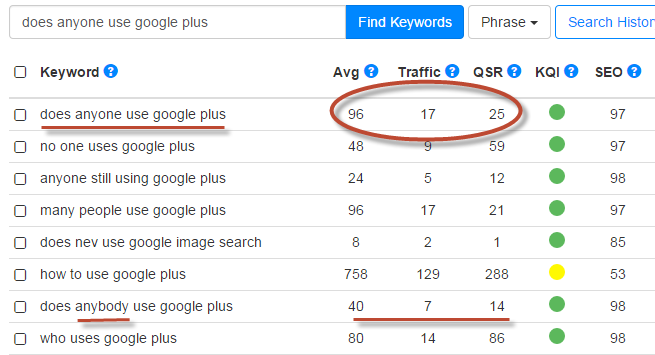 It is almost impossible to find a keyword with zero competitors which is why we look for ones with low competition, but what exactly is a good number to rank? Throughout my experience, I have found out that keywords with less than 300 competitors work well in ranking but the lower amount is always better. 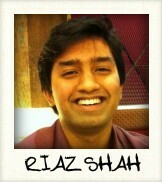 So seeing that the competition for “Does anyone use Google plus” is only 25, that’s a good enough keyword to go after. One last thing I’d like to point out when it comes to keyword research is that you should NOT be picky with the number of searches because even if you have 1,000 searches for that keyword, how likely are you going to rank if there are 1,000 competitors there as well? That is why going after keywords with very low competition works really well in helping new websites get ranked because you are basically going after an untapped gold mine. Have a keyword you’re just dying to research on? Phew, now that we’ve covered keywords research, you might start to wonder just how on earth are you going to make use of that keyword? Those keywords you just found works well on almost anything you want to do actually, because those are the exact results of what people are trying to find online. 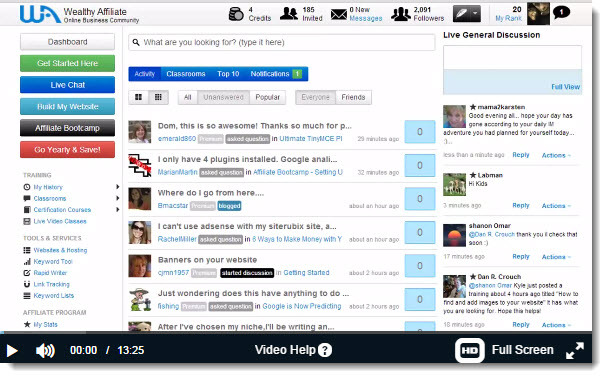 You can use it on your projects, on market research, or even for something fun like posting on Facebook which can really increase your rate of click-through because what are the odds off people typing that exact keyword in Google search bar and seeing someone else posting about that same thing right in front of them? But really, the most useful part of using keywords is to make it part of your website content by writing an article about it. You can write anything around that keyword say for example, write your own definition, write your own how-to guide, or even add everything you have in mind to make your article amazing! This is because writing content can REALLY rank your website high on Google especially after Google’s recent 2015 update whereby they give more priority for websites with great content. There are millions of websites on the web but not all of them have great content which is why you can conquer this part of SEO as well. Make sure it solves something – The reason people type in the Google search bar is to find something in the first place but sadly, many first page results do not actually give a direct answer to what they are looking for. For example, if you want to find how to make money online, you will see that many of the search results will tell you that you need to start a business, or sell something. But really, how on earth do you do that? Starting a business is a really deep topic and to answer a question, you need to give a detailed answer if you want people to agree and appreciate you. Write at least 500 words – After Google’s recent updates, many old websites which are doing cheap articles to get ranked are getting slapped so their posts are not appearing on Google anymore. This is because Google emphasizes on Good quality content so for people who are hardworking, we will have a better chance at ranking which is a plus if you love writing like me. Give examples – People like it more when you give examples when writing a point because that shows you have experience in it. If you write without giving example or pictures, you will indirectly show yourself as arrogant because you are not willing to share more of your experience with others. Transparency can go a long way to getting you more trust amongst your readers so don’t be afraid to expose your life story in your articles as well! Or rather the first when it comes to Google. As you may have known, Google now have abolished snippets of pictures for blog posts (Which Internet Markers know as Google Authorship) on its search results which can only mean one thing – every website has equal opportunities to get clicked! Because you can’t show pictures, all websites on Google’s search results all appear in words so you need to take advantage of this opportunity by making your title as “Human” as possible. There are many links which have titles too general or too business-like which can be boring for us internet users but if you see a cool title which is not usual, you will definitely be tempted to click on it, wouldn’t you? For example, instead of saying “How to Get an Asian Girlfriend”, you could say something like “How to Get an Asian Girlfriend Fast WITH Her Parents’ Approval”. Gosh, that sounds so tempting I would love to read more on that if there is such a thing (Maybe I could write about that on my dating website Relationshipable.com 😉 ). It’s easy! Just make sure your title is catchy and you will definitely experience a higher click-through rate on your site than you would if you use a more general title. Learn SEO the Easy Way –Join an Online Classroom! Apart from the 3 essential elements that I just shared with you just now, there are actually loads more elements that contributes to a good SEO such as social media, domain keywords, page load speed and even things you need to know of in order to avoid getting penalized. 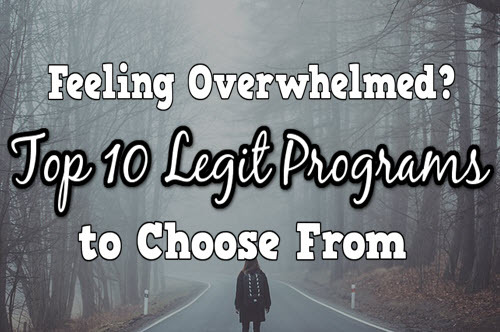 I only showed you a snippet of the most important factors of SEO but if you want the bigger picture, there is a program for that called Wealthy Affiliate which I highly recommend you to join. Wealthy Affiliate is an online business course which teaches you all you need to know about building a website that Google loves so that you’ll reach first page, and monetizing it. To cover SEO is a wide topic which is why the lessons are divided into classroom-based bits so that you can learn at your own pace. 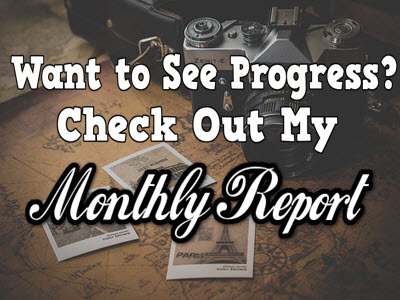 Although not all my posts are on the first page of Google, I have noticed that slowly but surely, some of them are rising up and this has given me great traffic without ever needing to spend on marketing. SEO might take some time but if you put some effort into it, you’ll reap the rewards after some time which can be very rewarding. I’m grateful for what I have learned which is why I’m helping others succeed online too so if you join me inside, I’ll gladly help you get started 🙂 . Understanding website and SEO is tricky business and often times, it will lead you to disappointment and frustration. But as long as you keep learning Google’s patterns and persevere, you’ll soon realize that SEO is pretty fun and before you know it, your website and all its posts can rank on the first page faster than you could ever imagine! If you’re interested in learning more about how to get your website ranked through SEO, check out my #1 recommended program here. Thanks for reading, do drop by any comments you may have down below as I’ll be more than happy to reply 🙂 .